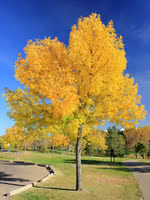 Bur Oak has a wide distribution but is one of the only oaks that will grow well on the prairies. 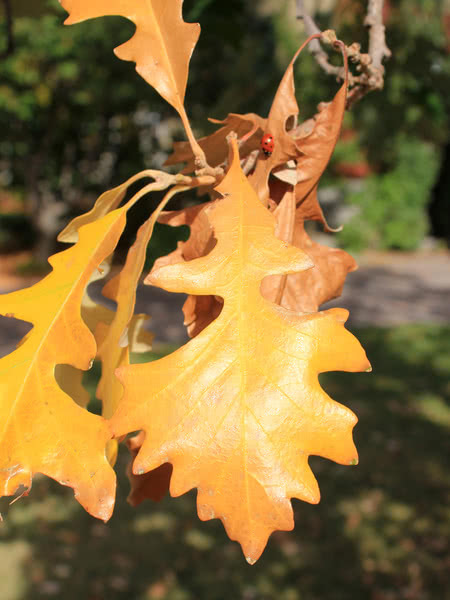 Bur Oak produces deeply lobed, dark green leaves that turn golden yellow to brown in the fall. Its acorns are round and half enclosed by a mossy fringed cup. 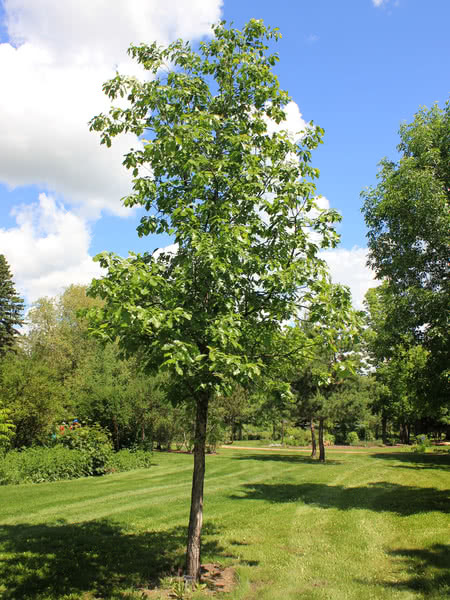 If you want the beauty of an oak on the prairies, Bur Oak is the tree for you. 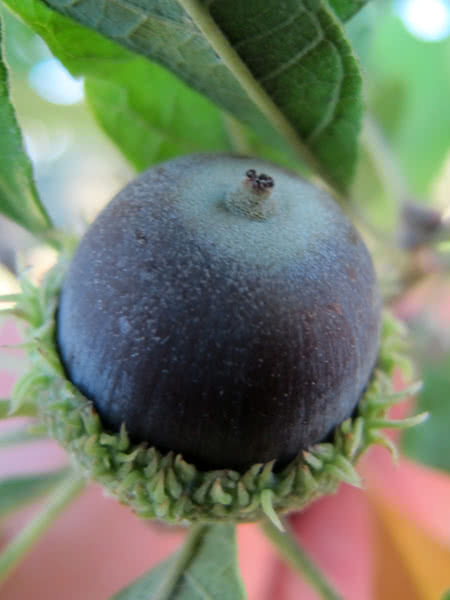 The Bur Oak is slower growing than the Northern Red Oak, but slightly more cold hardy. 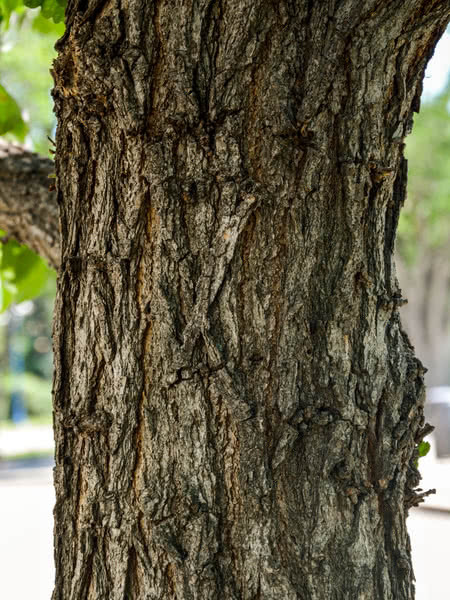 Although slower growing, this long lived tree eventually becomes a popular large ornamental tree for driveways, parks, and the front of industrial buildings. Popular as a memorial or dedication tree. 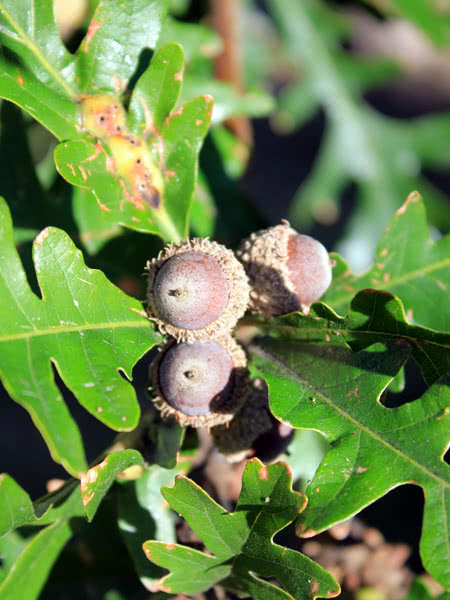 Note: do not transplant Bur Oak. 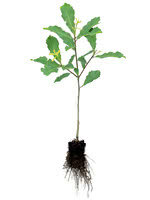 It has a deep tap root that does not handle transplanting stress well. These two-year-old trees are fuller, more robust, and better branched than younger plug seedlings. One-year-old seedlings grown from acorns in big plug sizes in our greenhouses. These trees have been sorted for form and size.